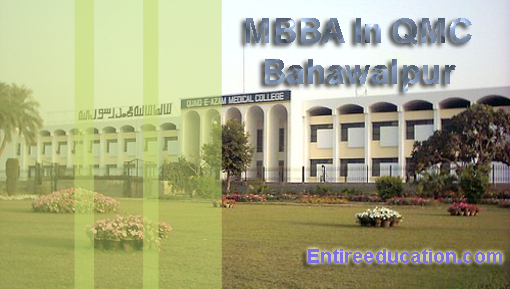 Quaid-i-Azam Medical College commonly known as QAMC is a medical institution in Bahawalpur. The institute was founded in 1971 when the foundation stone of college was laid down by the governor Punjab of that time. For clinical practice the college got affiliation with Bahawalpur victoria hospital. Degrees offered by the college are recognized from Pakistan Medical and Dental Council and University of Health Sciences Lahore. The campus building of the college is constructed by keeping in mind the natural climate control features like cross ventilation, placement of windows strategically and courtyards. Bahawalpur victoria hospital which is affiliated to the QAMC for clinical sciences training for the students was established in 1906. The hospital is providing health facilities to near about 12 million population of the territory. The college is playing a very vital role in health care sector by producing more than 5000 medical graduates till the date. There are also Schools of Nursing and Jubilee Female Hospital that are affiliated with this college. Jubilee female hospital is situated in the heart place of the town. The hospital is affiliated with the college since 1999. The hospital is specific for females and children only. Training for all PG courses is offered in 14 faculties. The school of nursing as established in 1952 at BV Hospital. The school is affiliated to QAMC since 2003. Annually 40 nurses are completing their course and served in health care department. Admission forms can be collected from the campus of the college after paying the prescribed charges. All details regarding admission and important dates are available in prospectus. Intermediate with Physics, chemistry and Biology is necessary for admission. Students with other degrees are required to produce equivalence certificate from the authority of IBCC. Student having domcile of KPK will not apply for QA Medical College. students having domicile of sindh can apply in qamc? Student having domicile of Sindh should not apply for QAMC. Every year merit is totally different. You don’t lose hope you prepare well for entry test and if you have minimum 90% marks in entry test then easily get admission in QA Medical College. sir admission kb open ho rhe hen or eligibility criteria kia he??? Admission should be closed now in QAU. QUA select applicants through UHS. 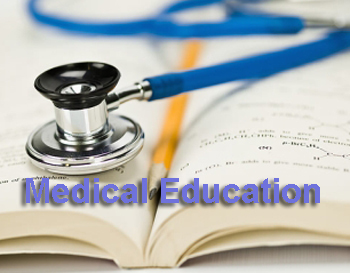 If you apply for UHS Exam then you should apply QA Medical College. when entry test will be conducted? Entry Test should be held on 31 August under UHS. Aoa when would admission 2014 for MBBS in QAMC start? How the form can be obtained? When new admission for Quaid-e-Azam Medical COllege has been announced then we have updated on the website. But you must appear in UHS Entry Test for admission in QAU Medical College. Currently, admission are not announced for BS Programs when admission announced then we have updated on the website. Student from Balochistan will not apply for admission in Quaid-E-Azam Medical College. sir i just want to know what is the merit of MBBS BDS nd Dpt??????? what is the last date of admsn ?????? Currently DPT admission will not be announced. When admission announced then we have updated on the website. Currently merit of MBBS & BDS is not finalized. Admission For MBBS student will be selected through UHS Entry Test. If you appear in UHS Entry Test then UHS calculate merit for admissions. sir i wana know that what is the merit of dpt? n how we can apply in it? Currently admission are not announced. When admission announced then we have updated on the website. Last Year merit of DPT is not remember. I got 938 in metric,894 in fsc and 824 in entrance test. Can i apply for MBBS? Dear, currently merit list is not finalized when merit list is final then we have updated on the website. Student from should apply on reserved seats through HEC. HEC announced reserved seats for FATA/Baloachistan Student till 22 Sep.
Sir i want to know,how to apply and form submition date?? Merit ki anouncment k bd form submit krwty hain?? Admission should be start in the month Octo/Nov. When admission announced then we have updated on the website. Yes, Umair you have chances of admission in DPT. But every year merit is totally different. When admission announced then you will apply for admissions. sir, dpt k admission kb ho rhe hn? Admission should be expected in the month of Nov.
sir i got 930 in matric and 908 in fsc and 882 in mcat. is there any chances of admission in dpt in qamc? and i’m a repeater.will this effect? If you repeater then there is deduction of 10 marks of FSC. Secondly, every year merit is totally different. Hope for best. dpt admissons date to apply………… plz tell me sir………. Currently, admission for DPT Program has not been announced when admission announced then we have updated on the website. sir, dpt ka last year merit kia tha. r admission kb open hn gen? ASALAM O ALAIKUM Sir i wants to take ADMISSION NOW IN 2017.Can it be possible. any admission scholarship for kpk? Sir any course are open in qmc plz inform me. Sir bs audiology k leye mdcat zrori he kia? Or self finance py kitny percent py bs audiology m admsn mily ga?